A unique body of medieval literature, the Sagas rank with the world's greatest literary treasures—as epic as Homer, as deep in tragedy as Sophocles, as engagingly human as Shakespeare. 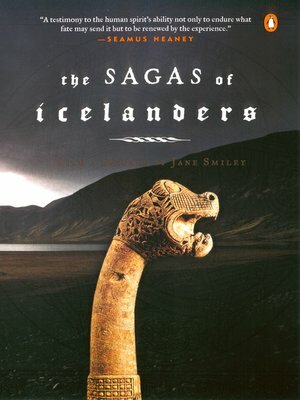 Set around the turn of the last millennium, these stories depict with an astonishingly modern realism the lives and deeds of the Norse men and women who first settled Iceland and of their descendants, who ventured further west—to Greenland and, ultimately, the coast of North America itself. The 10 Sagas and seven shorter tales in this volume include the celebrated Vinland Sagas," which recount Leif Eiriksson's pioneering voyage to the New World and contain the oldest descriptions of the North American continent.